Most of the social media apps such as Beetalk and Wechat, they had distinctive advantages over other smartphone social apps. Beetalk is more emphasizing on group chat and shaking to small chat with strangers. Beetalk Malaysia has pretty Hanis Zalikha to be part of their Beetalk advertisement video clip. They have more than 100,000 likes in their Facebook page. Beetalk generally communicating in Malaysia language rather than using English. On the other hand, LINE Facebook page certainly has more than 100,000 likes in their Facebook page too. They have this wonderful feature called " official accounts "where big brands such as McDonald, Airasia, Sony, Nokia, Upin & Ipin, 8TV, Lazada, KFC are promoting their products to LINE users who had subscribed to respective brands. For example, John subscribed to KFC official account in his LINE apps installed in his smartphone. He will be able to get latest KFC promotions without doing anything. It will show up in your smartphone and you will see the KFC promotion first when you wake up to see the clock. Well, if you do not like it you are always welcome to cancel subscription.
" LINE Event " is another good stuff worth to be mentioned. All the promotion held by LINE Malaysia you will get all of them in one place. 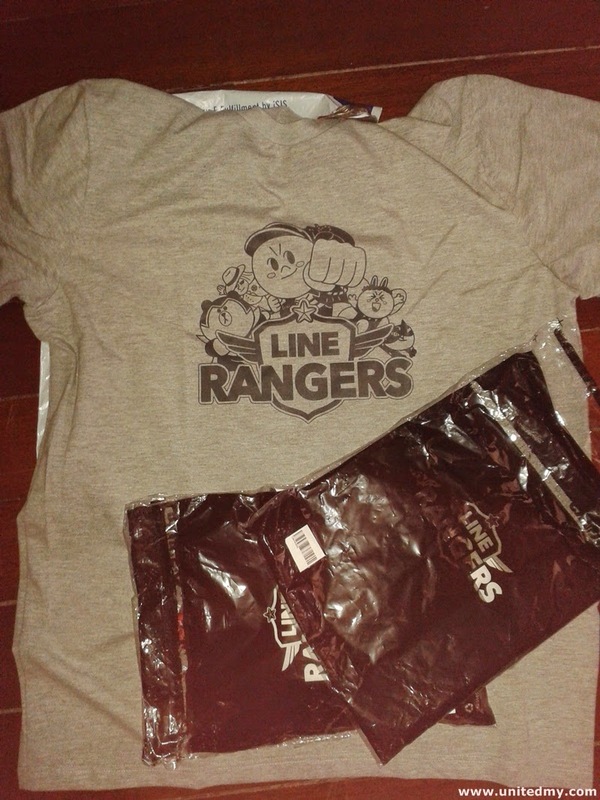 I got two free LINE T-shirts by joining LINE contest which the contest information appeared at LINE Event. 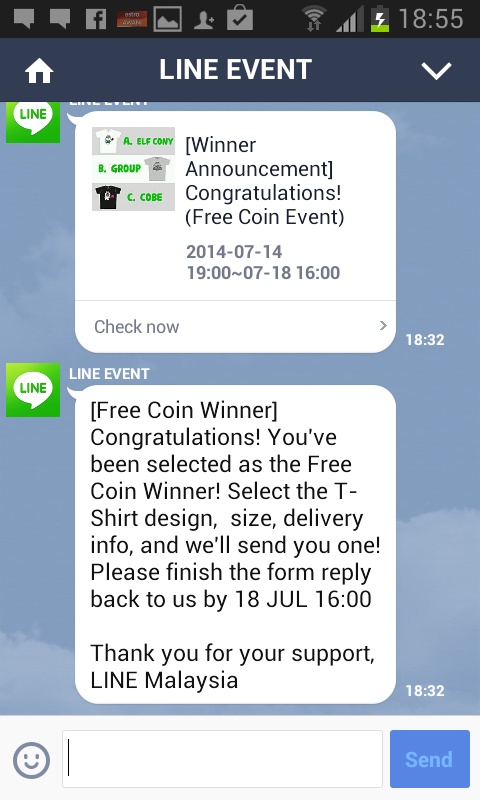 Although this event is over, it does not mean you will miss those opportunity in the future but if you do not install LINE apps then you will get zero chance to own any LINE free gifts.